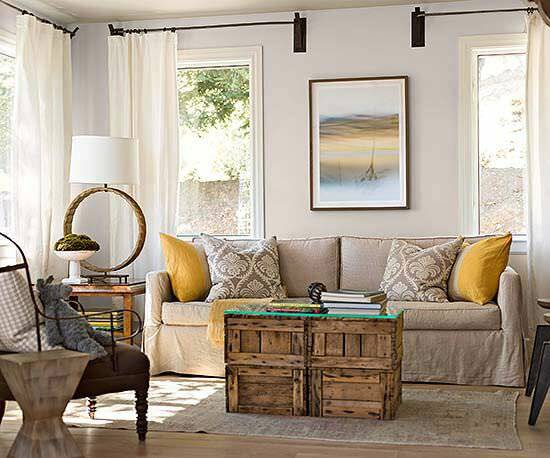 Some of the most popular DIY projects on OhMeOhMy are the DIY furniture projects… there is no better way to get exactly what you want, at a lower price and higher quality, than to make it yourself. These sleek and stylish DIY coffee table ideas & tutorials would look awesome in any home, and you can’t find them in any store either, so you know they are one of a kind. Who doesn’t want a unique element in every room? 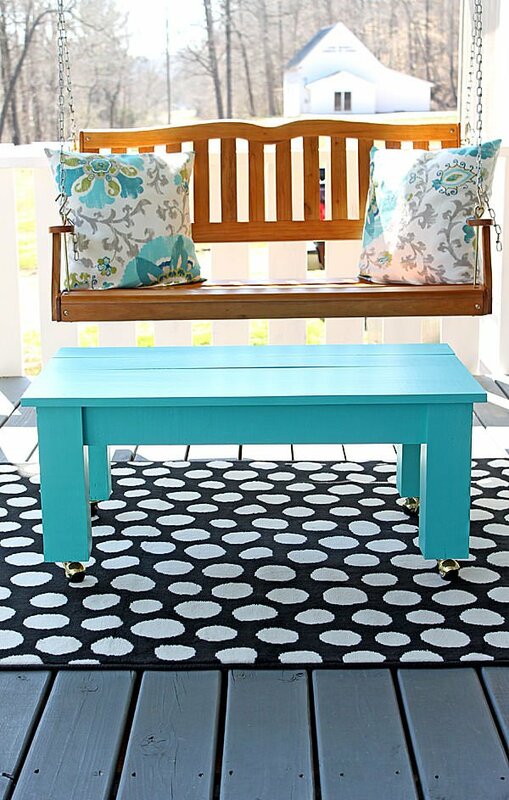 So give one (or more) of these DIY coffee tables a try! Our first project is by Anna from ‘Plan B‘. 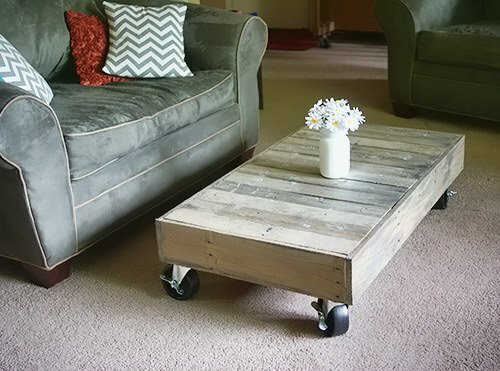 This DIY pallet coffee table is so simple, and I love it’s low lines, but it has personality too. 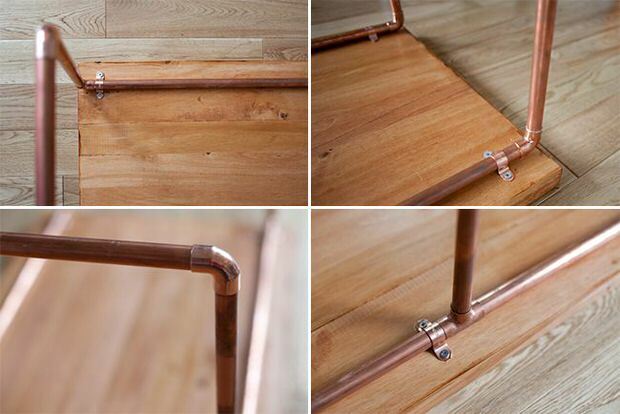 ‘For Me, For You‘ found a way to create this copper DIY coffee table, and shares how she did it. Pretty! Looks high end, and will last. 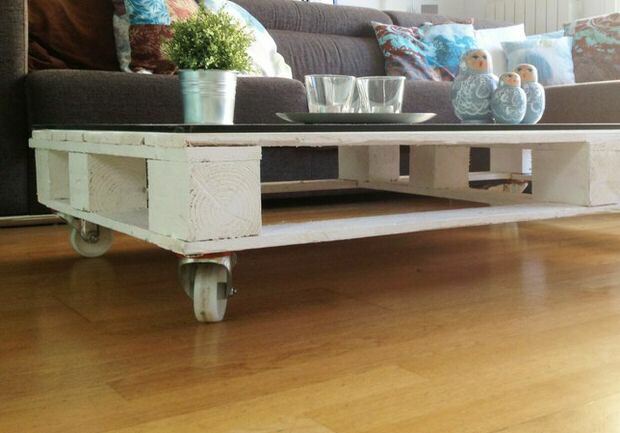 This Mid Century inspired coffee table is simple… rustic plank, hairpin legs. Done! 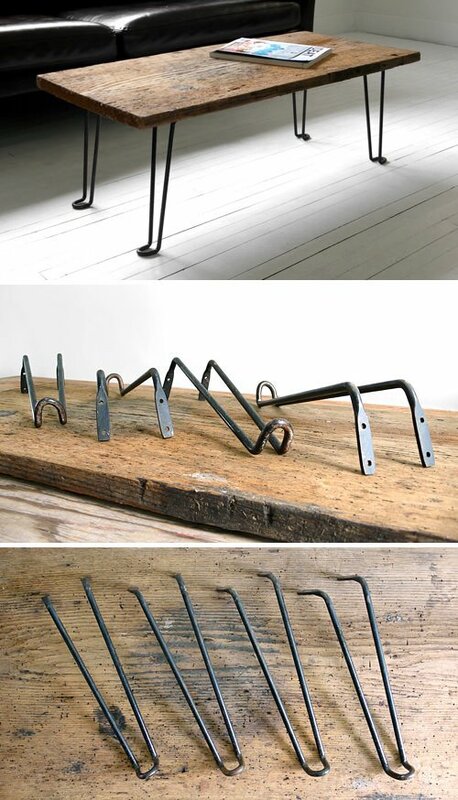 You can find hairpin legs on Etsy. Those of you who know we feature a lot of Ana White‘s woodworking plans and projects, also know that she is amazing, and so are the DIY’ers who do her projects! 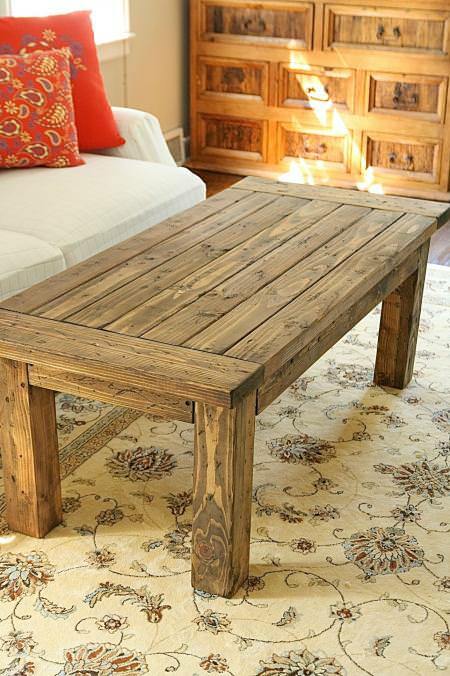 This is a weathered wood DIY coffee table one of her readers made . 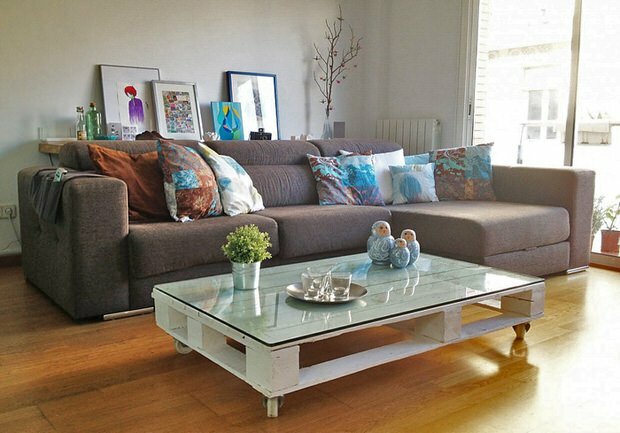 ‘BHG‘ created this repurposed DIY coffee table with two crates and a sheet of glass. 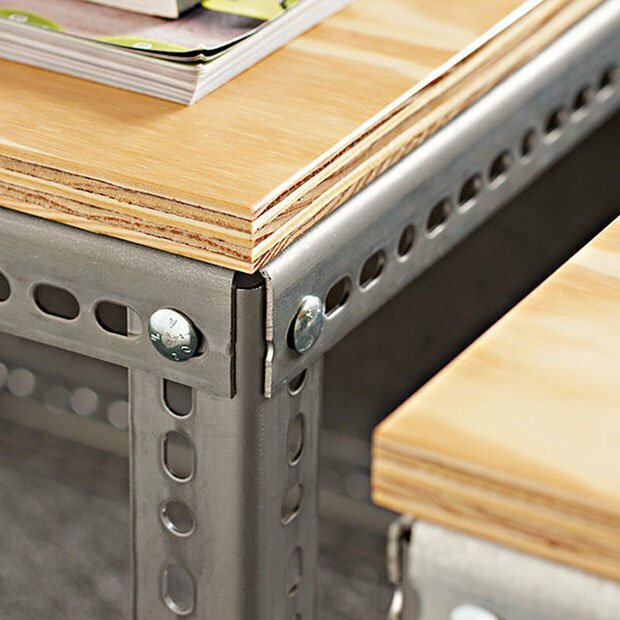 Attach the crate together with screws or brackets to make the table stable. Nice for a small space! 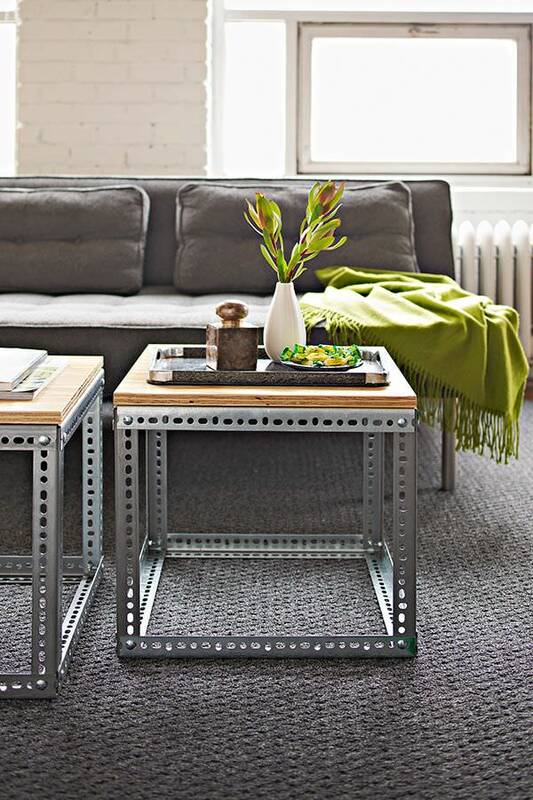 This industrial DIY coffee table is a lot easier than it looks, make sure you jump on over and check out the tutorial from ‘Lowes‘. Also great size for a small room! ‘The Shabby Creek Cottage‘ shows us how to make this farmhouse coffee table DIY for less than $25, and in under an hour! A.M.A.Z.I.N.G! 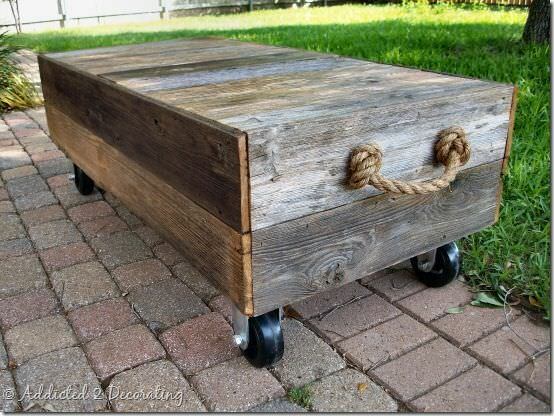 Our last one for you is this cart style DIY coffee table made from old cedar fence boards, by Kristi from ‘Addicted 2 Decorating‘. I am amazed at what can be made from repurposed materials! 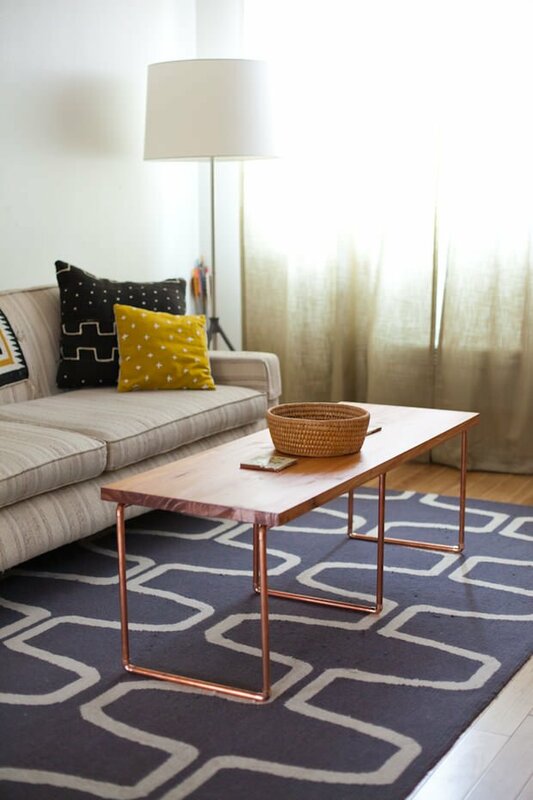 All of these DIY coffee table ideas are stylish and easy enough for a beginner woodworker. 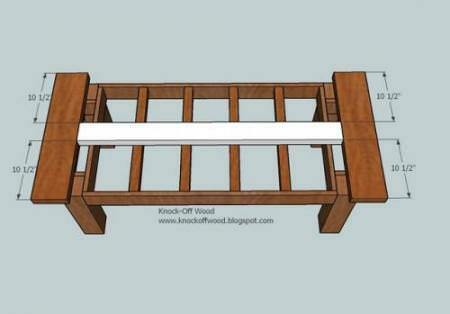 You will want to jump right on over to our posts on How to Make a Kitchen Island and DIY Storage Benches! you will need a hole saw that is 3″ in diameter and an extension bit that is about 8″ or more long. Hope that helps. Help please! How do I drill a three inch hole into a block of wood to a depth of 10 inches. The block of wood is 18 inches wide and 24 inches tall? Anyone have an answer here? A 3″ self feed bit and an extension to match. May have to go to plumbing or electrical supply house to find one locally. Requires a heavy duty 1/2″ drill with a long accessory handle attached. Use carefully. This can hurt you. A drill press would work and be safer if the piece can be placed under it.